ffective health and safety is a legal requirement for all workplaces, and is fundamental in ensuring the wellbeing of employees. But did you know that it can also save you money? Far too often, employers and business owners are disinclined to invest in health and safety due to limited resources and they overlook the potential financial benefits. As training specialists Phoenix HSC note, failing to have the right procedures in place can not only pose a threat to workers’ safety, it can also lead to lost working days and other costly consequences. If you want more money in the bank for your business, read on. 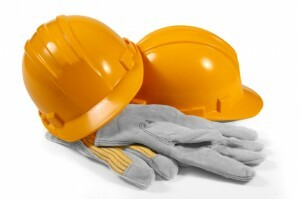 Without adequate health and safety measures in place, workplace accidents and injuries are more likely to occur. This can result in employees taking a significant amount of time off work, and in turn this can lead to a number of direct costs for the employer, including having to pay the absent employee’s wage and shelling out for overtime or temporary staff members to cover the loss of work and delays. In some cases, you may also have to pay for medical expenses, doctors fees and compensation. There are also indirect costs that can result from injuries and ill-health.These include disrupted work schedules, reduced productivity, recruiting and training replacement staff and the time it takes for these individuals to become competent in their new roles. Services and product quality may also be affected, and you may suffer from loss of business and a decline of your reputation. Poor health and safety procedures could also cause your insurance premiums to rise and make it difficult for you to obtain future cover. Without the right insurance in place, you may be forced to fork out for insurance investigations, claims management and legal costs – which will come straight out of your company’s bottom line. By saving on the cost of accidents and ill health, you are investing in the future of your firm. Increasing safety training, conducting regular risk assessments and ensuring you have the right level of insurance in place can all help to save you money. While it may cost you more initially, it can give you added peace of mind and help to increase profit in the long term. If you are interested in assessing how much employee sickness rates are costing you, there are plenty of online tools that can help you do so. This can also be useful in providing you with a point of reference to gauge the improvement of health and safety within your organisation. Remember, the sooner you take action, the more money you could potentially save and the more time you will have to focus on building your business.